Well established Turn Key Business M & S Lunch on the Corner of N.2nd Street & W. Hancock Street Saint Clair. 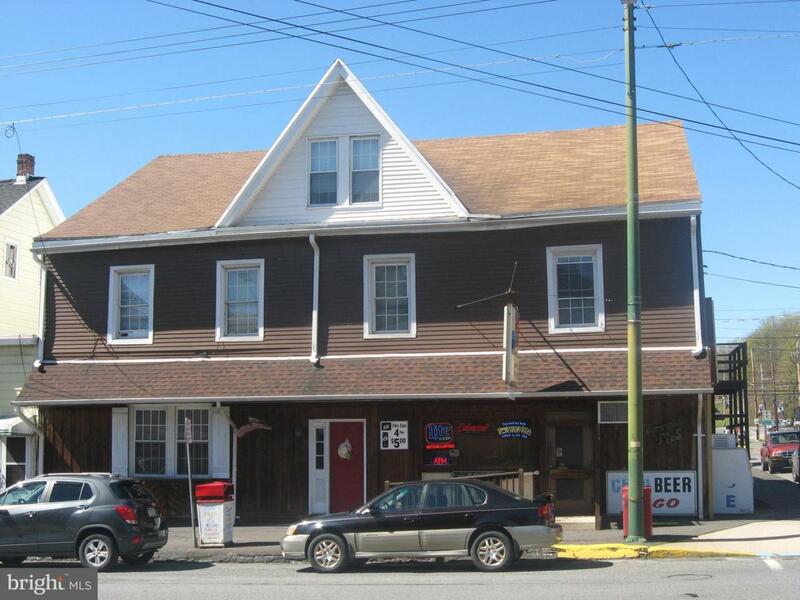 Includes Restaurant with liquor license & two apartment units. Call Holden's Office for your private showing. Acceptable Financing CashConventionalOther Accessibility Features Other Assessment Year 2018 Association YN No Building Name Multi-Use Business Type Food & BeverageRestaurantApartment Building Central Air YN No Cooling Fuel Electric Cross Street West Hancock Electric 200+ Amp Service Entry Level 1 Foundation Details None Heating Fuel Oil Historic YN No Hot Water Oil Lease Considered YN Yes Navigable Water YN N New Construction YN No Number Of Units Total 0 Original MLSNumber 301634897834 Ownership Interest Fee Simple Possession Settlement Property Sub Type Other Sale Type Standard Sewer Public Sewer Tax Annual Amount 2320.0 Tax Assessment Amount 40485.0 Tax Lot 308 Utilities Cable Tv AvailableElectric AvailablePhone AvailableSewer AvailableWater Available Vacation Rental YN No Water Source Public Zoning Com.